Hovering in the trees, overlooking the Pacific Ocean in Puntarenas, Costa Rica, exists a house that quiet literally floats atop the earth. Architect Benjamin Garcia Saxe designed Casa Flotanta for a family of nature enthusiasts and the home proves to be an architectural and environmental marvel. As one can imagine, the terrain was difficult. The major obstacle Garcia Saxe faced at the site was a steep slope thus providing an ocean view from only the mid-upper portion of the land. Plans were drawn devising retaining walls or cutting back the earth in order to make a more level piece of terrain but Garcia Saxe ultimately, and ingeniously, decided to work with the natural elements at hand. 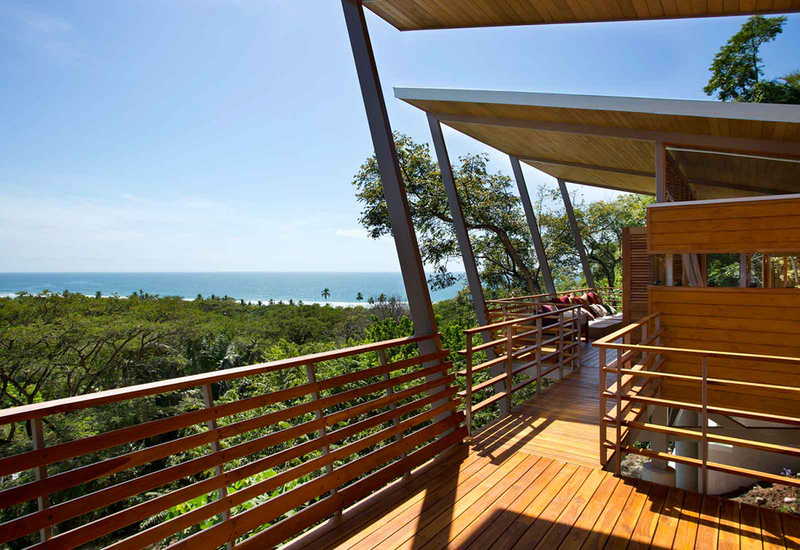 He chose to lift Casa Flotanta among the trees, reducing detrimental impact to the earth underneath and still achieving the spectacular ocean views. The decision not only saved money but time. The house was built similar to a bridge. It needed modules and pieces that were craned into position, already constructed, which were placed atop stilts. The home, over 3,000 square feet, boasts two bedrooms and is finished in teak and bamboo. Large, open windows allow for continuous airflow and the house supports itself through a solar heating unit, a collection system for rainwater, and LED lighting. Casa Flotanta’s attractive design works in harmony with its surroundings and proves that one’s dream tree house does exist. It’s just mind over matter.